Detox from summer with these single-use skin masks. Summer’s winding down. Your skin is not fond of what has happened the last few months. You’ve let sweat drip all over it inside the yoga studio and outside while walking to the parking lot. You’ve burnt it by the lake. You’ve burnt it by the pool. Fortunately, you get a chance to redeem yourself and earn forgiveness. This giveaway could help. 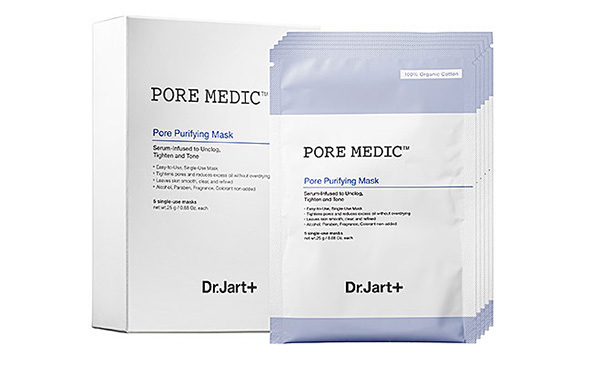 I’ve got a box of five single-use masks, as part of Dr. Jart’s Pore Medic collection, that aim to tighten pores, reduce excess oil, and leave skin smooth and still hydrated. You’ll look like Michael from Halloween when you put it on, but you could come out looking like Karlie Kloss. Worth it. Enter to win the giveaway here.